God is like oxygen. You can't see Him, but you can't live without Him! 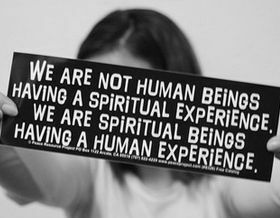 Spirituality is a vast subject which is practiced by a few. In the quest of knowing the super power or the almighty we end up with more confusion and more and more theories put forth by spiritual leaders and thinkers. But some of the quotes given by these spiritual leaders are really though provoking and offer a leading light in darkness. For instance Lao Tzu says, “be content with what you have rejoice in the way things are. When you realize there is nothing lacking the whole world belongs to you “. Spirituality mainly tresses on the state of being happy and Denis waitley rightly says, “happiness cannot be traveled to, owned, earned, worn or consumed .happiness is the spiritual experience of living every minute with love, grace and gratitude”. Numerous quotes on spirituality help us to enlighten on the complexities of life and reading them helps us to have a clear mind. Read them and share with your friends.